December 1814: its economy in tatters, its capital city of Washington, D.C., burnt to the ground, a young America was again at war with the militarily superior English crown. With an enormous enemy armada approaching New Orleans, two unlikely allies teamed up to repel the British in one of the greatest battles ever fought in North America. The defense of New Orleans fell to the backwoods general Andrew Jackson, who joined the raffish French pirate Jean Laffite to command a ramshackle army made of free blacks, Creole aristocrats, Choctaw Indians, gunboat sailors and militiamen. Together these leaders and their scruffy crew turned back a British force more than twice their number. 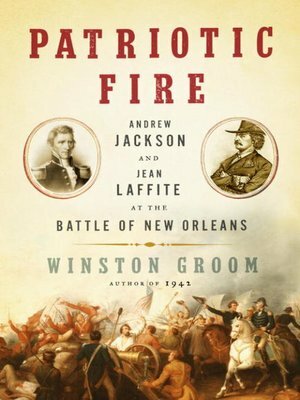 Offering an enthralling narrative and outsized characters, Patriotic Fire is a vibrant recounting of the plots and strategies that made Jackson a national hero and gave the nascent republic a much-needed victory and surge of pride and patriotism.